March arrived with no plans for the next holiday and a single event on the near horizon which was scheduled for April but happily came early. The Pigyard had a new arrival which was in fact a late Christmas present. 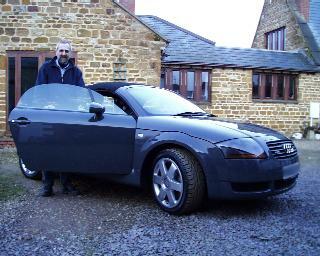 The Audi TT has always been one of Steve's great desires and as you may have noticed previously on the cars page there has been a TT on his wish list. Well this month the dream came true. The colour chosen back in January is Nimbus Grey and he had some severe doubts about it but it has turned out really well. From this photo you may not be able to see the size of Steve's grin but if it got any wider his face would fall in half. 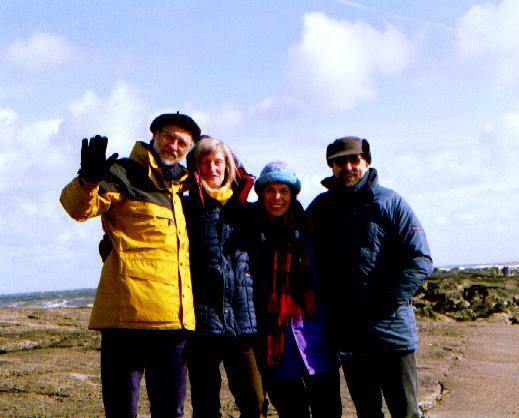 The bay at Filey was the only place left to walk when we visited our college friends Jon and Susie during the month because the Yorkshire moors and Dales were closed due to the foot and mouth outbreak. The weather was kind and although it was a cold wind we had plenty of sunshine. The Brig at Filey was a new experience for us. Susie and Jon count this as one o their favourite places. The truth is that Susie loves it because it reminds her of childhood visits and Jon is not overly keen. We were well wrapped up against the elements. 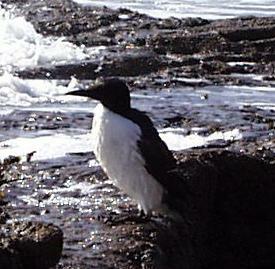 Even the natives were friendly and this Guillemot was happy preening his feathers at the edge of the sea. He allowed us to get very close, safe in the knowledge that it was too wet and slippery to get any nearer. 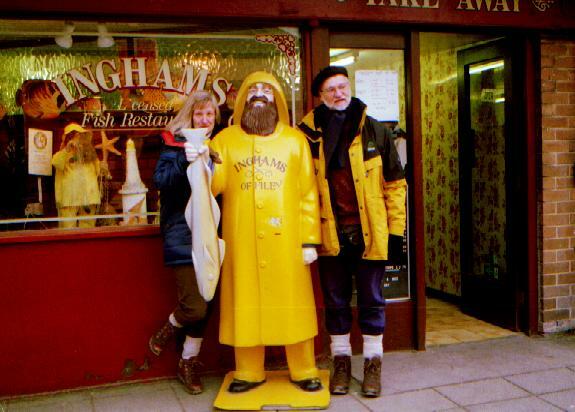 Jon found his namesake fish & chip shop. Susie had to stand behind a big fish to hide her embarrassment. 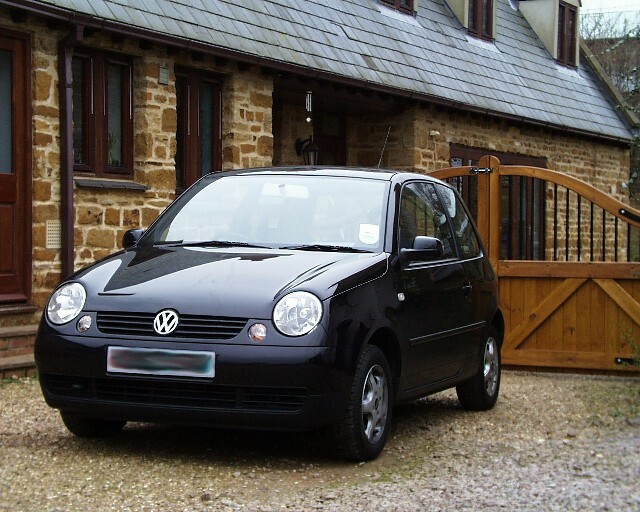 On the final day of the month we said goodbye to the Lupo. It was eventually bought by someone in Cornwall who was prepared to travel all day to snap up a bargain.